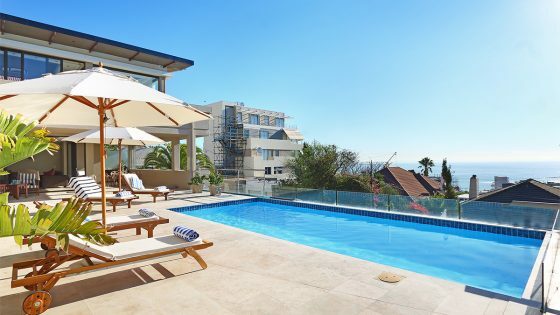 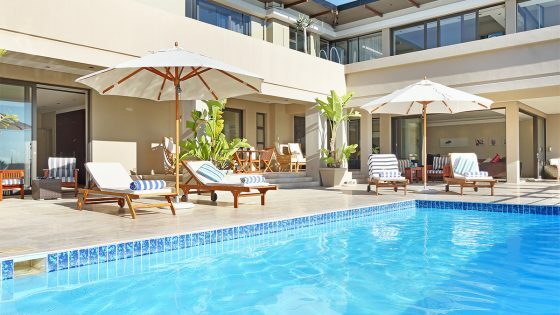 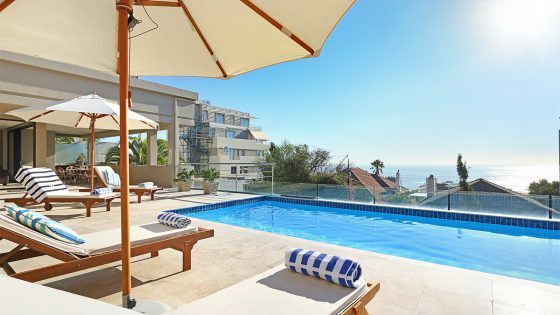 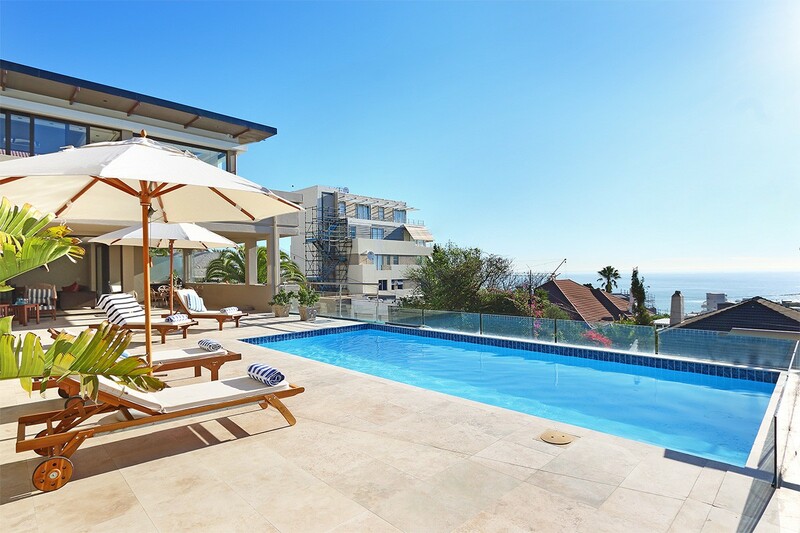 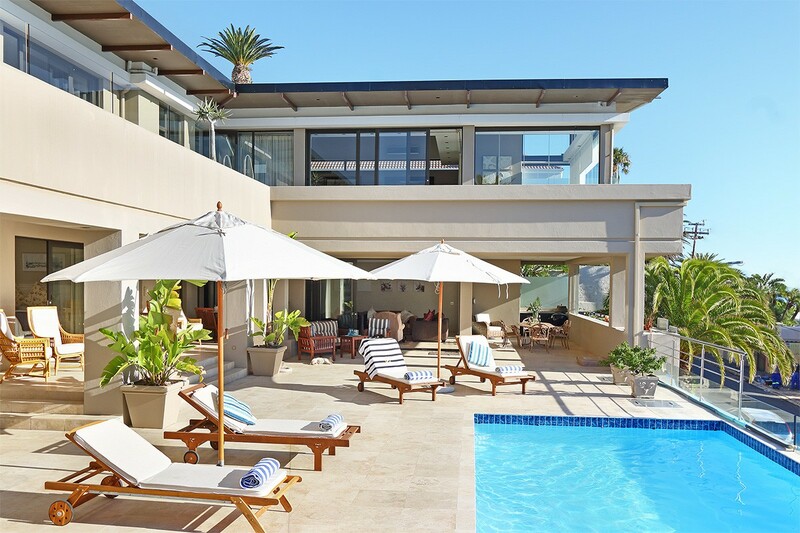 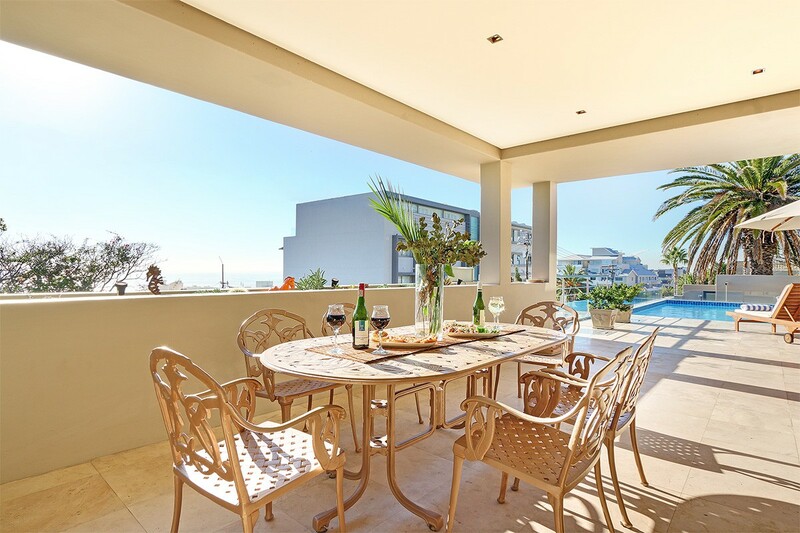 Set in the heart of the exclusive suburb of Bantry Bay and just a short drive away from the pristine, palm-lined beach of Camps Bay, Bantry Blue offers luxury, comfort, and style. 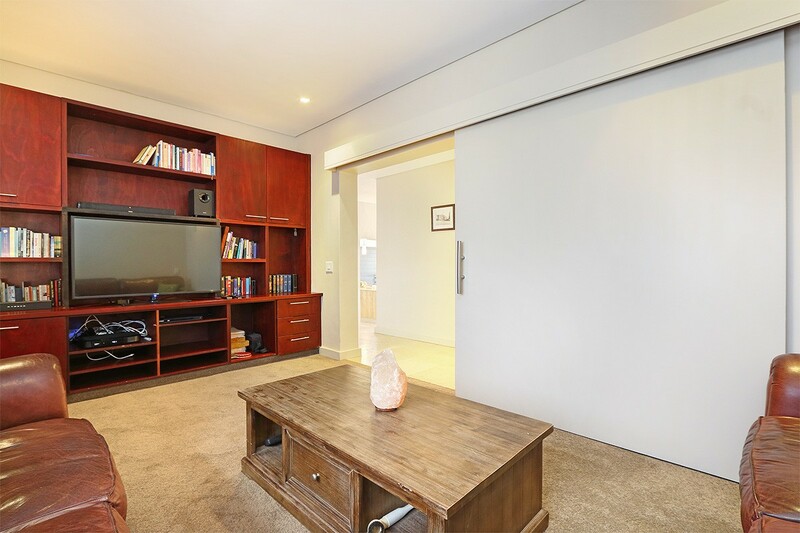 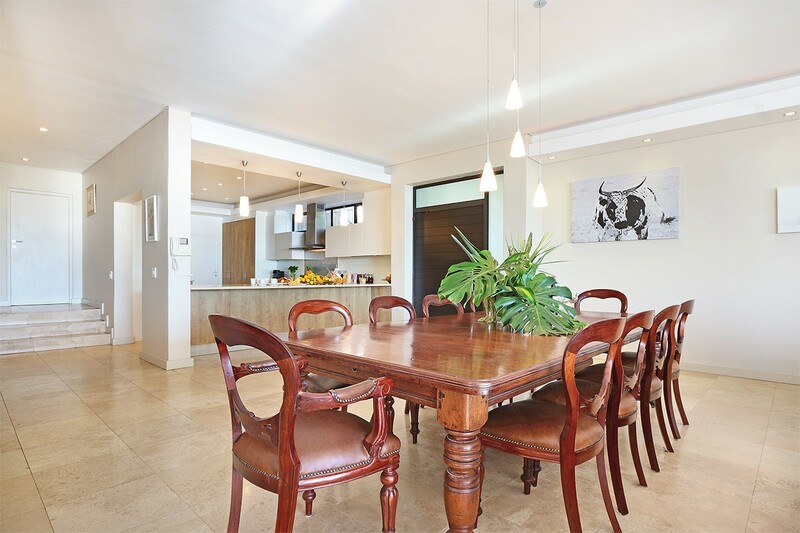 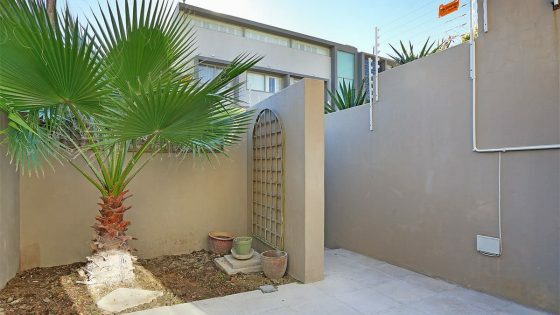 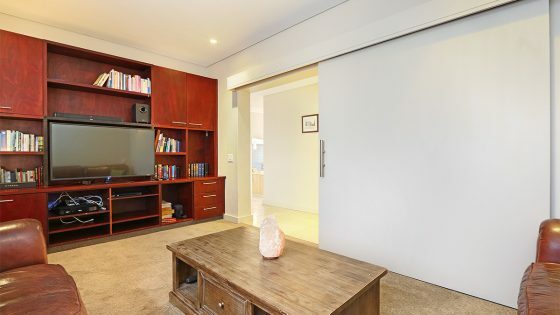 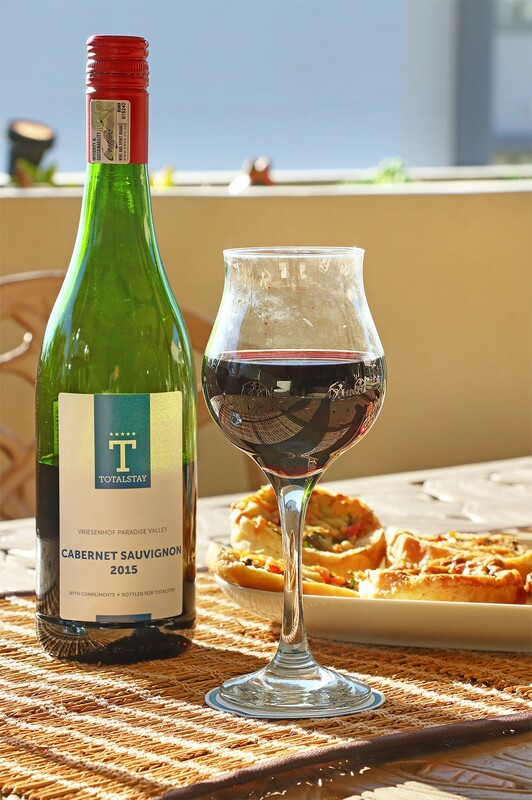 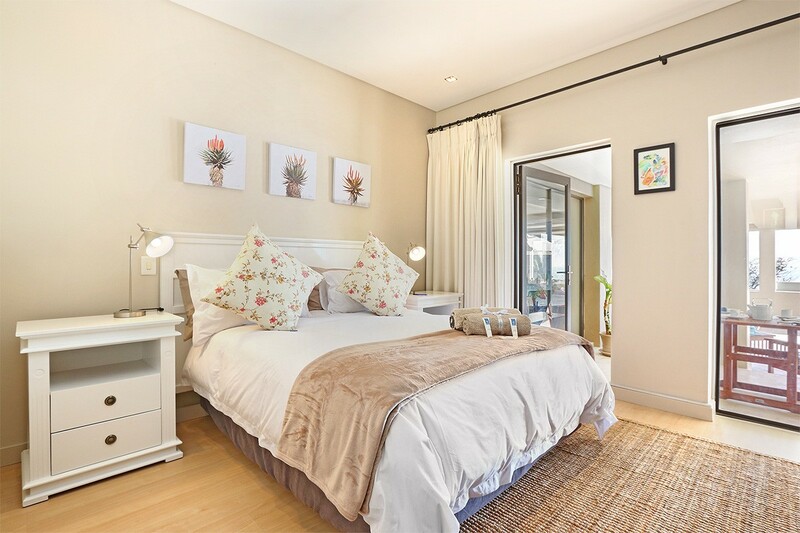 Tastefully designed and decorated for absolute comfort and with easy access to all the city’s top attractions, this elegant three-bedroomed house is ideal for a family getaway. 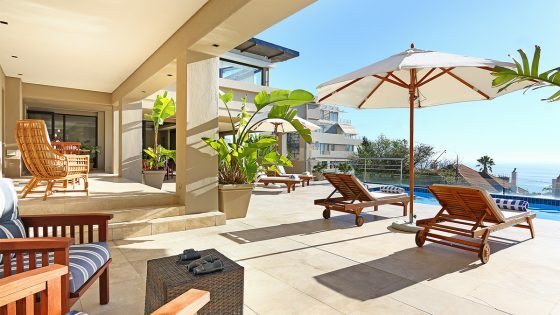 Inviting living spaces and breath-taking views will embrace you, while a stylish terrace with large umbrellas, sun loungers, and sparkling swimming pool are perfect for outdoor barbecues or just relaxing in the sun. 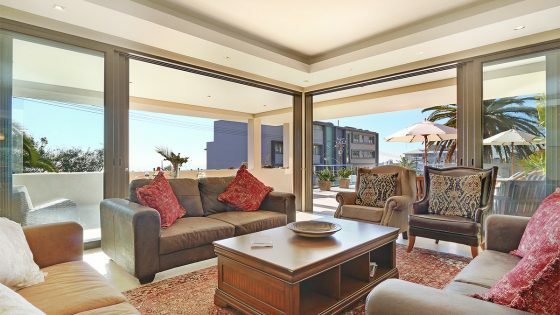 Open plan living spaces seamlessly merge with the outdoors through large sliding doors, while breath-taking views of the sea can be glimpsed through every window. 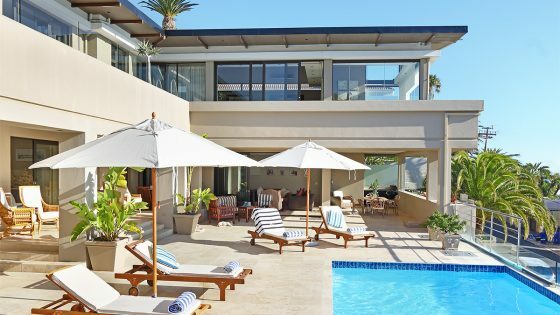 The interior living spaces flow out onto a wide terrace and entertainment area with deep-set sofas and a built-in barbeque that overlooks the swimming pool and the Atlantic Ocean beyond. 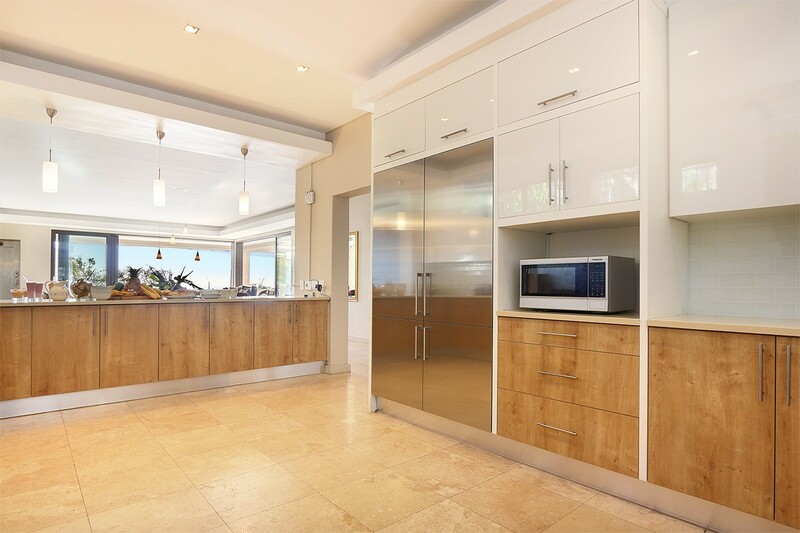 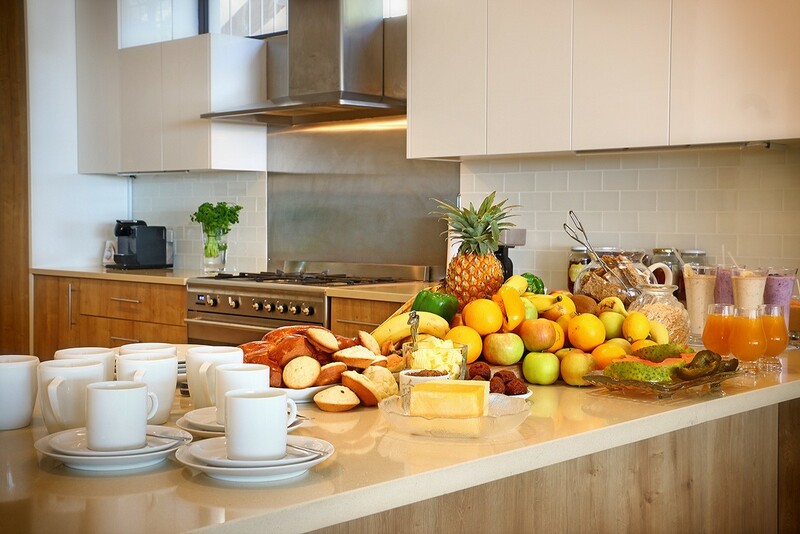 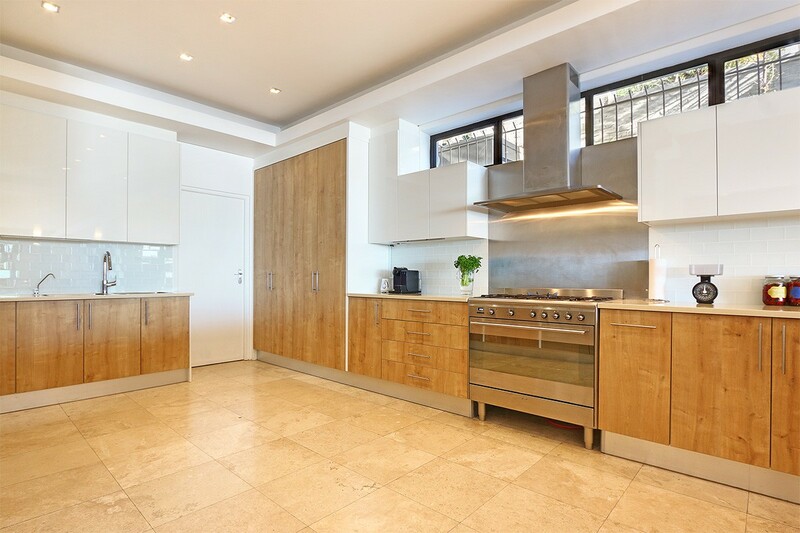 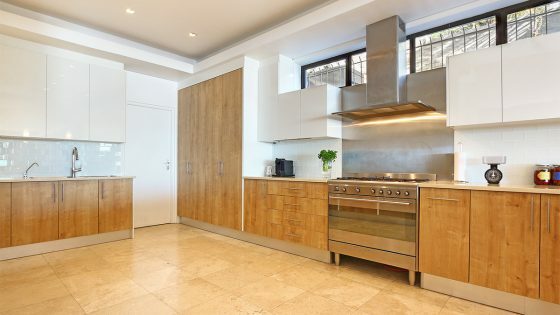 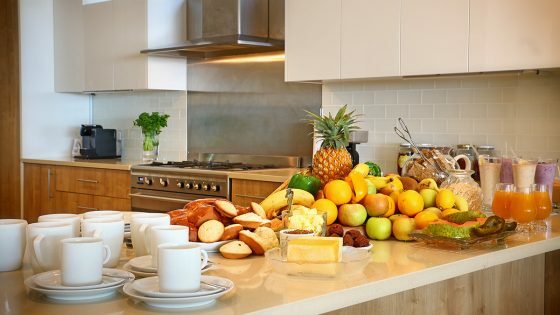 A modern, highly-specced kitchen with state-of-the-art amenities boasts a large breakfast bar and connects with living and dining areas, which are tastefully decorated in a contemporary and modern style with glossy tiled flooring and sophisticated, yet comfortable furnishings. 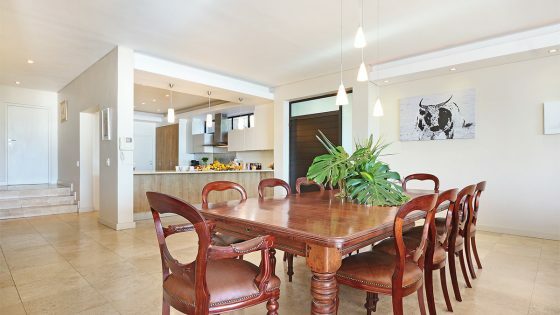 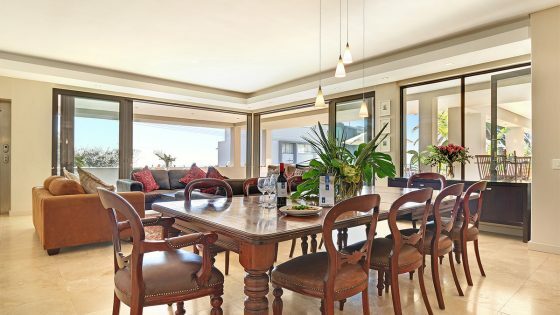 An elegant ten-seater dining table is ideal for entertaining and offers spectacular views across the bay and an entertainment lounge features plush leather armchairs, a large flat-screen smart TV with DVD player and high-end sound system. 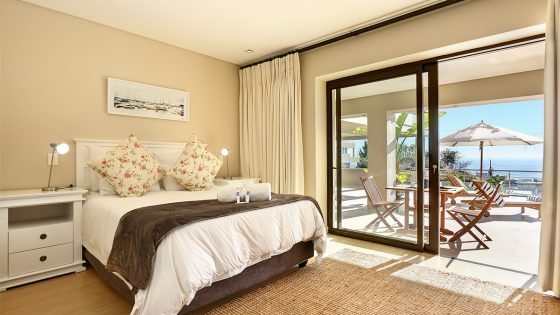 Rich, warm fabrics create an opulent ambiance in the master bedroom. 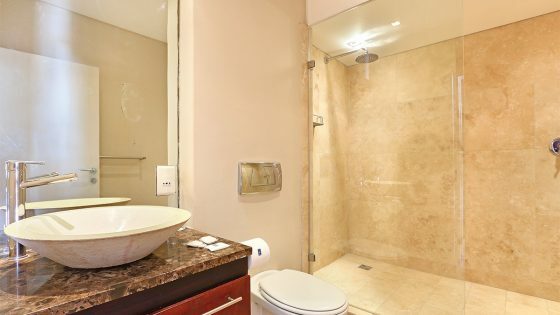 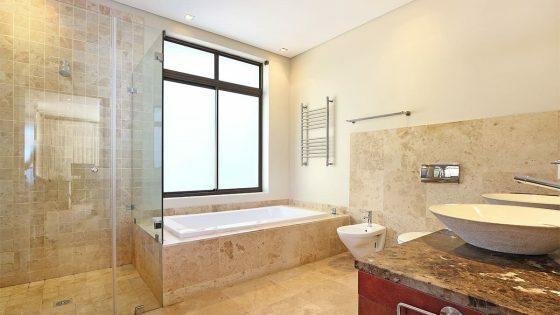 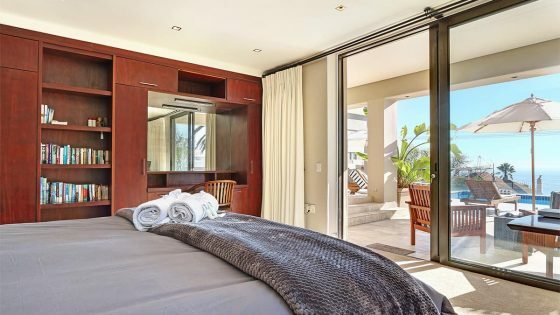 Large sliding doors open onto the main terrace with striking ocean views, while the en-suite bathroom takes up a unique space behind the main bed, with unobstructed views from the luxurious spa bath across the ocean. 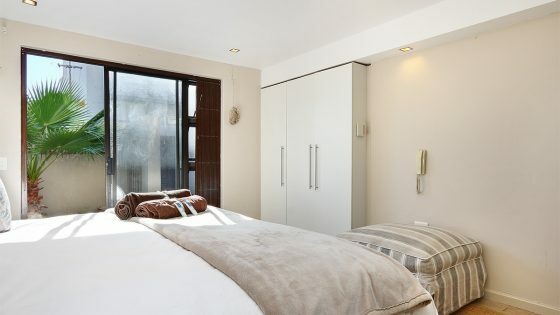 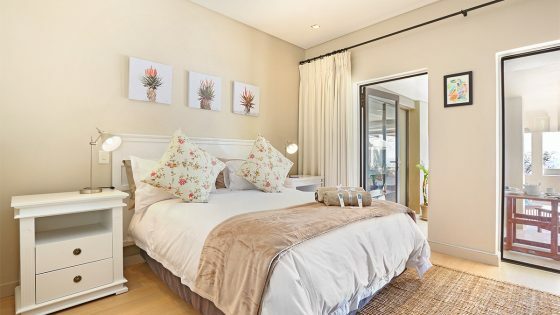 Simplistic and natural interior design continues in the other two double guest rooms, with plush white linen and earthy tones and en-suite bathrooms. 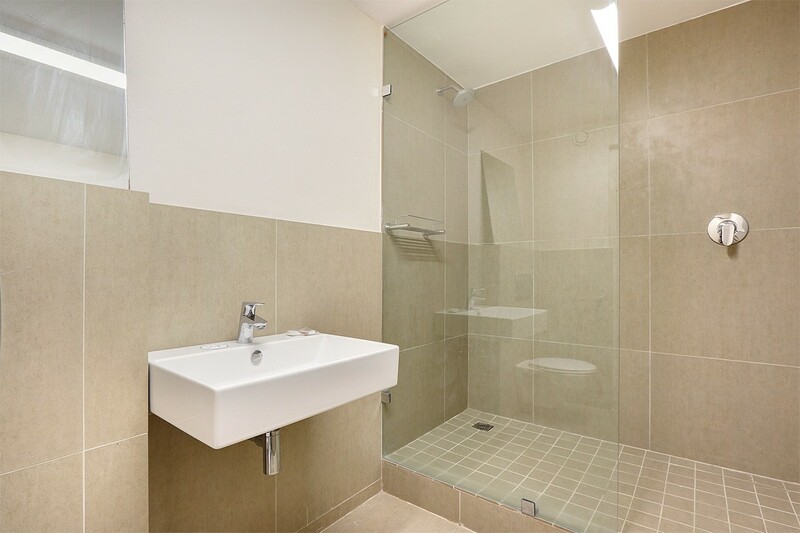 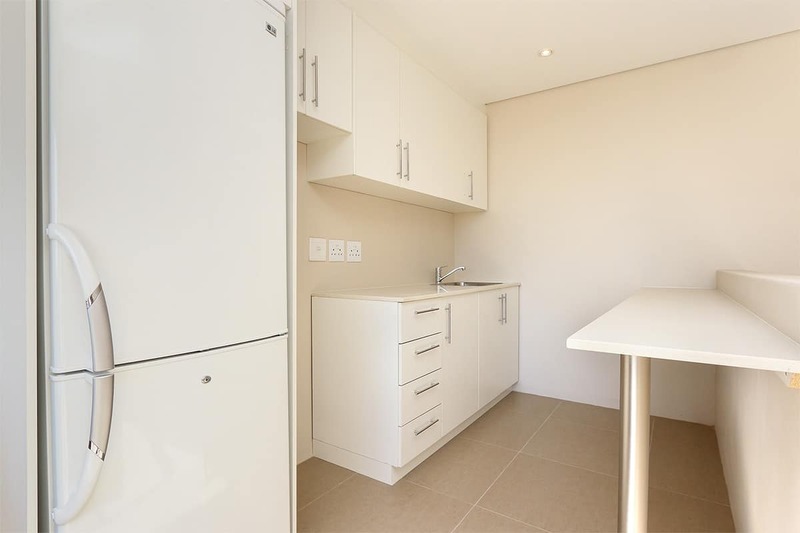 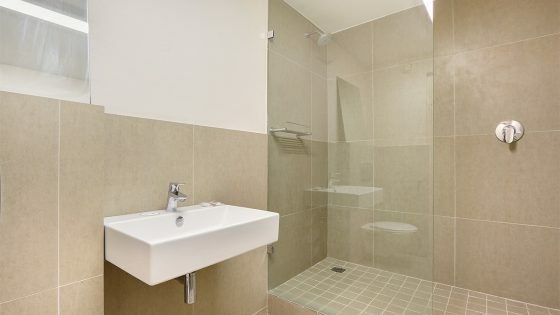 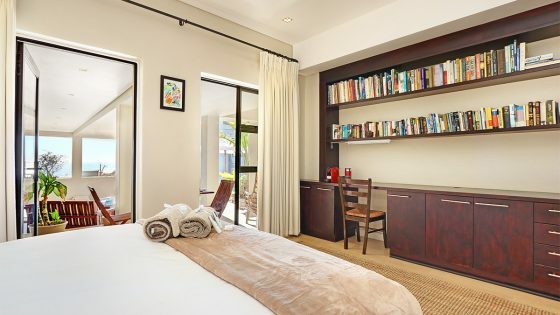 One of the bedrooms has access to a private kitchenette and can be used as a self-contained or self-catering suite. 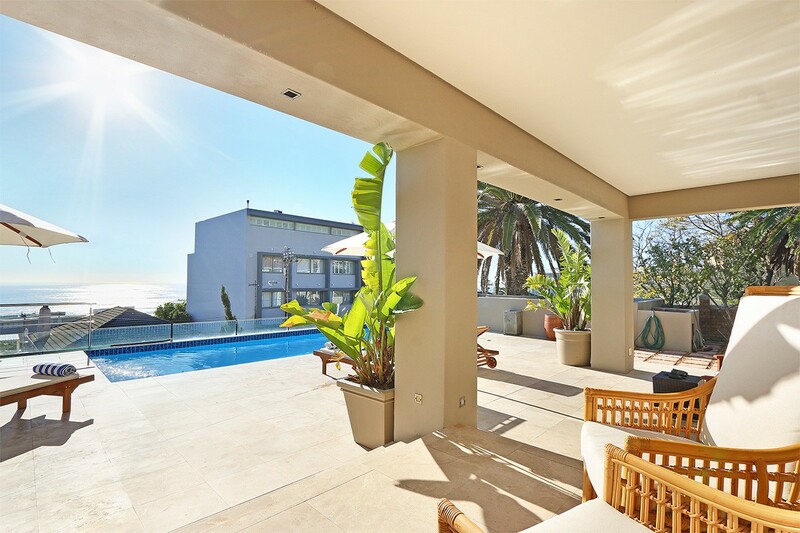 A stylish tiled terrace, outdoor entertainment area and swimming pool fronts the house. 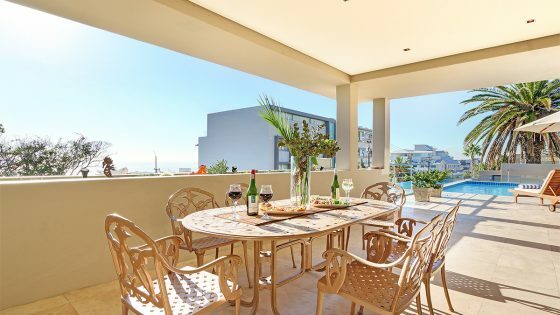 Complete with comfortable sun loungers, a six-seater outdoor dining table, and gas barbeque, you can relax in style and soak up the glorious 180-degree views. 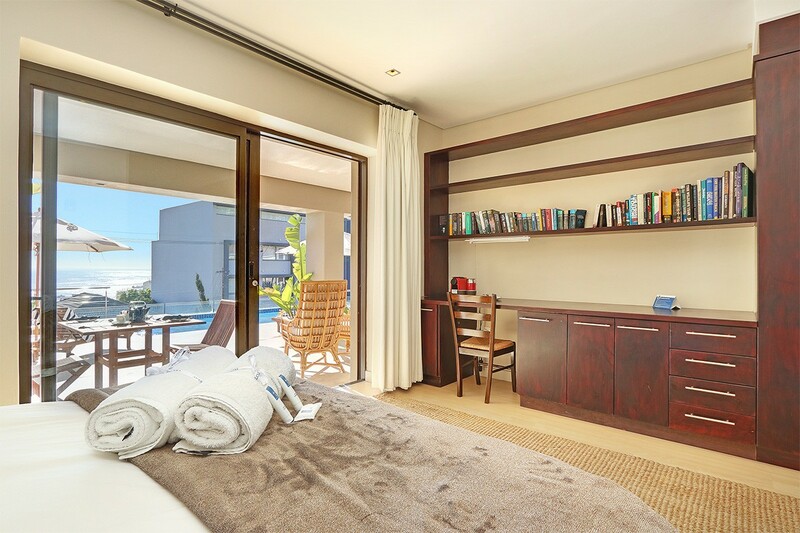 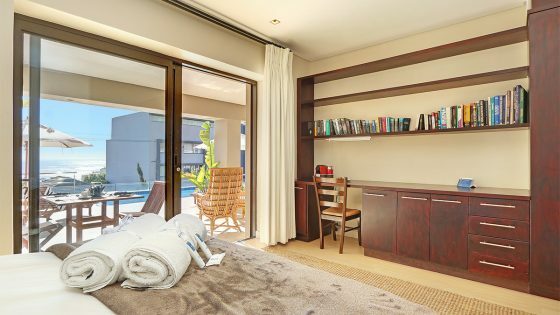 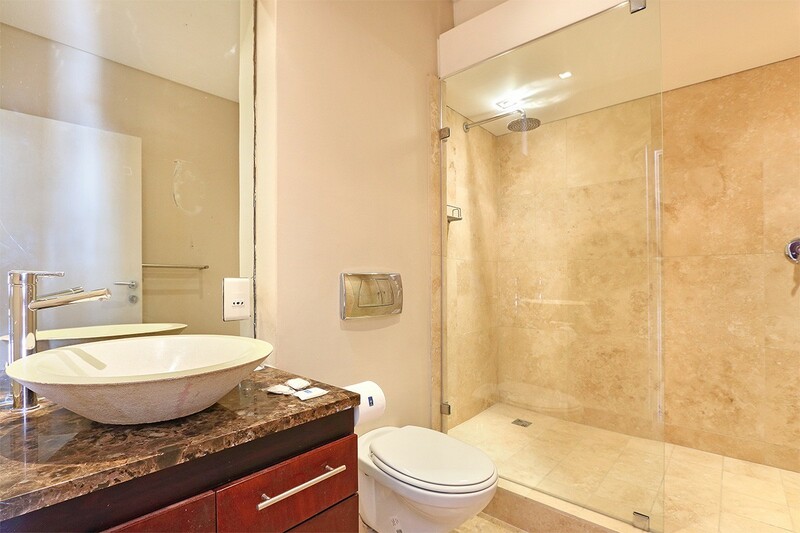 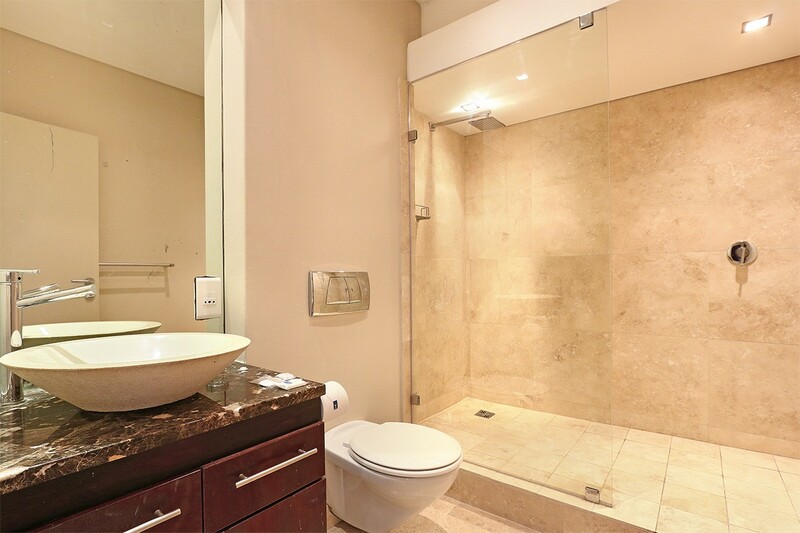 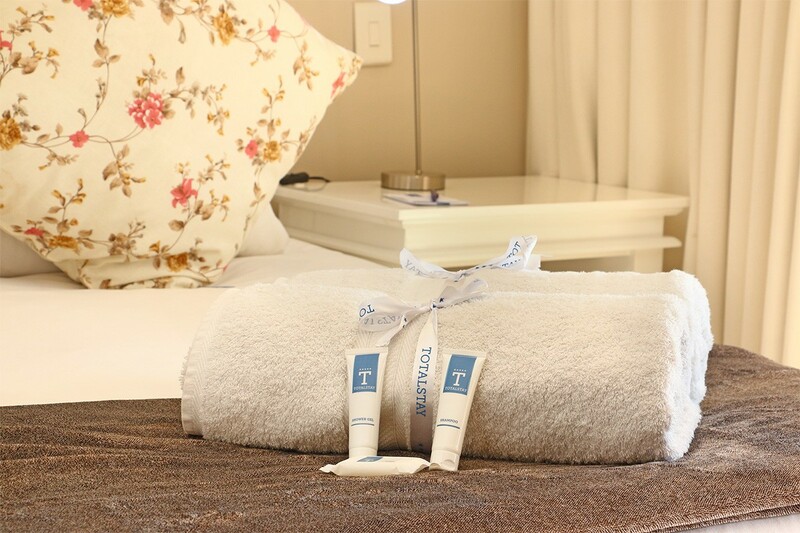 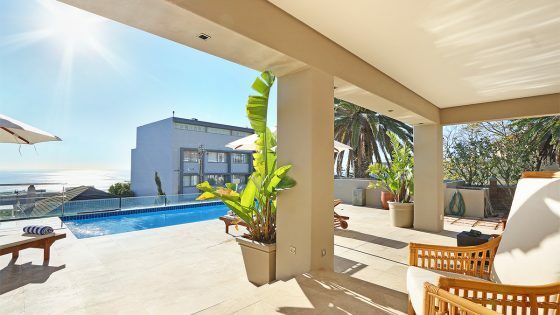 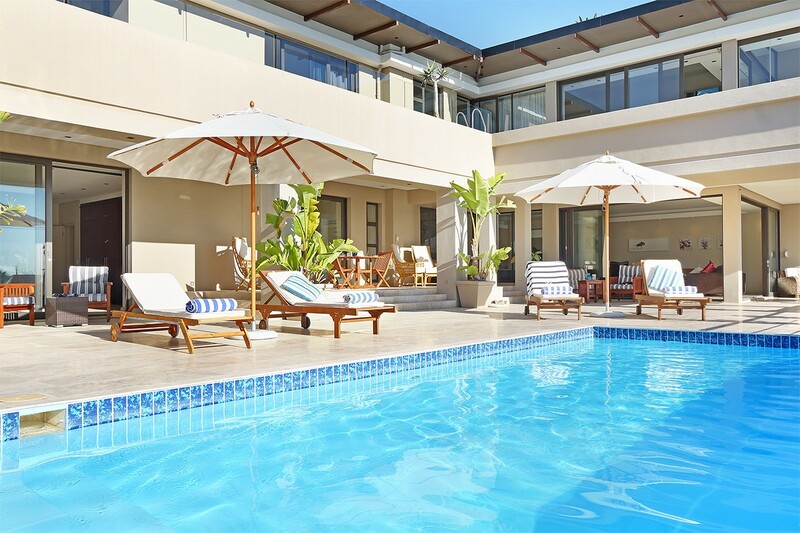 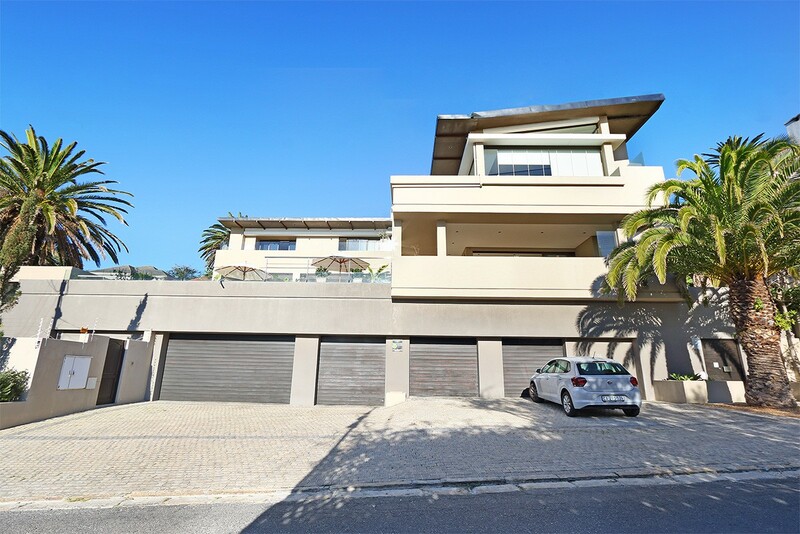 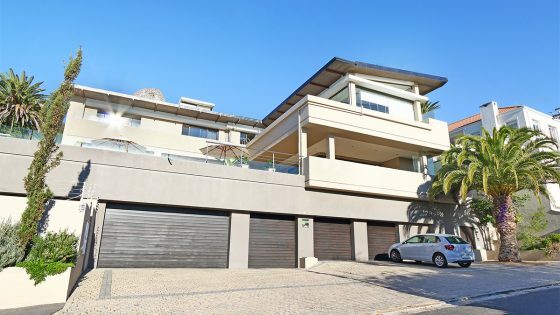 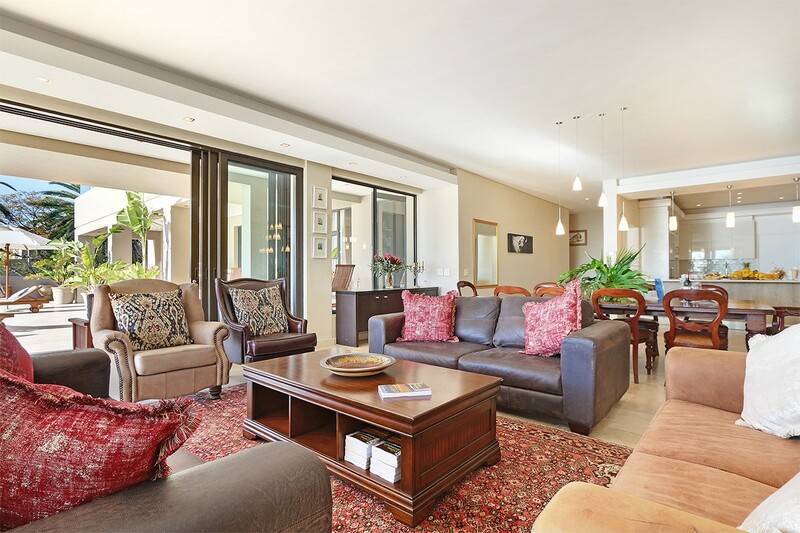 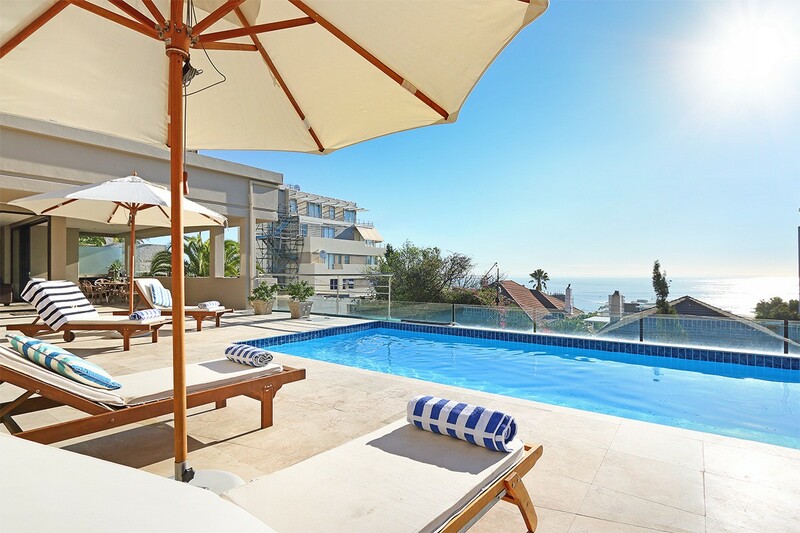 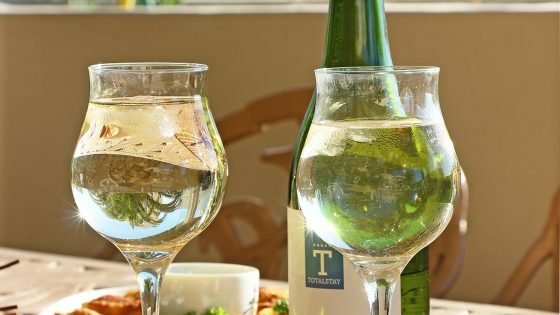 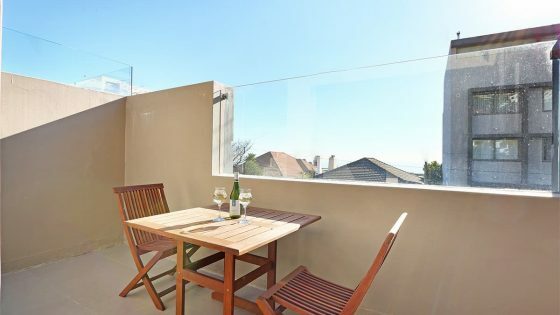 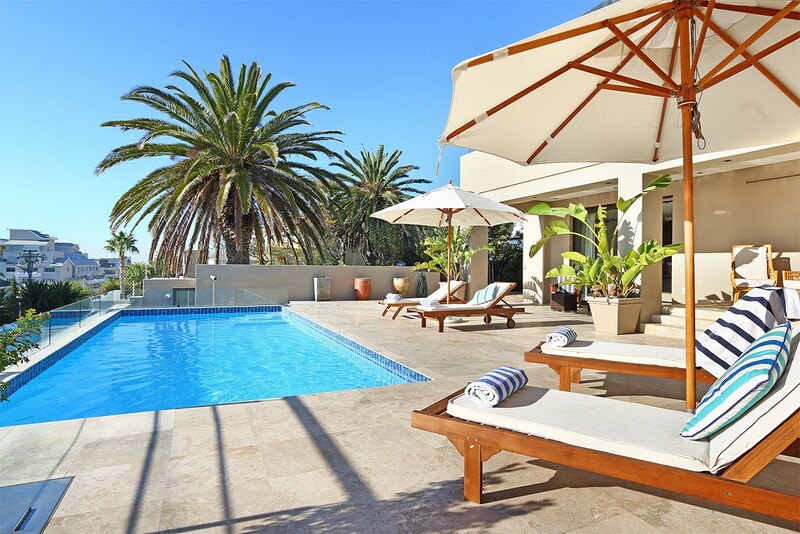 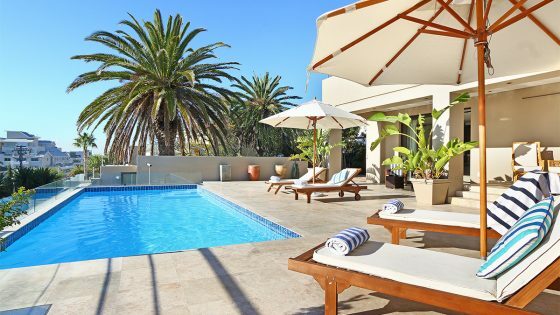 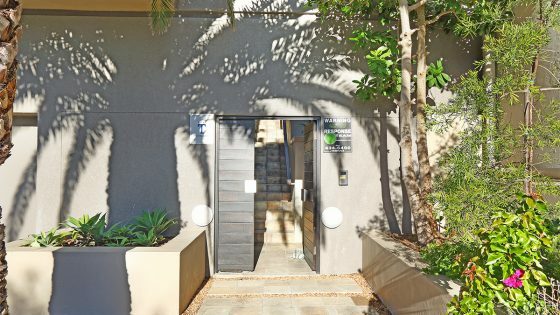 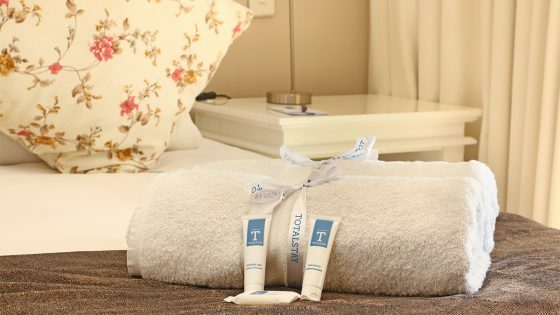 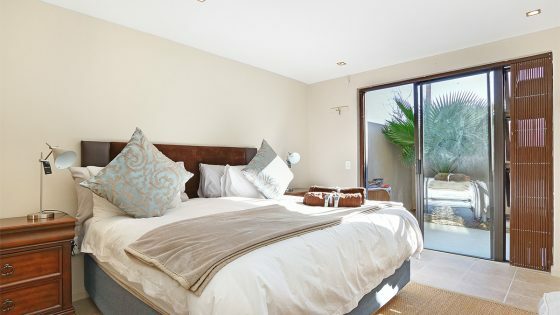 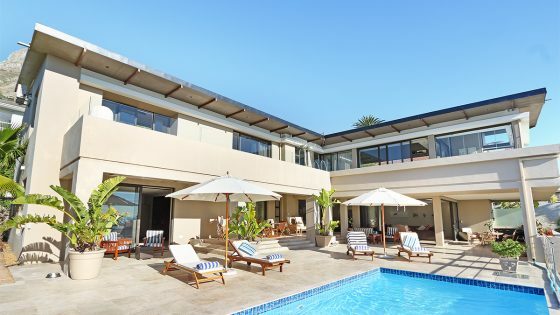 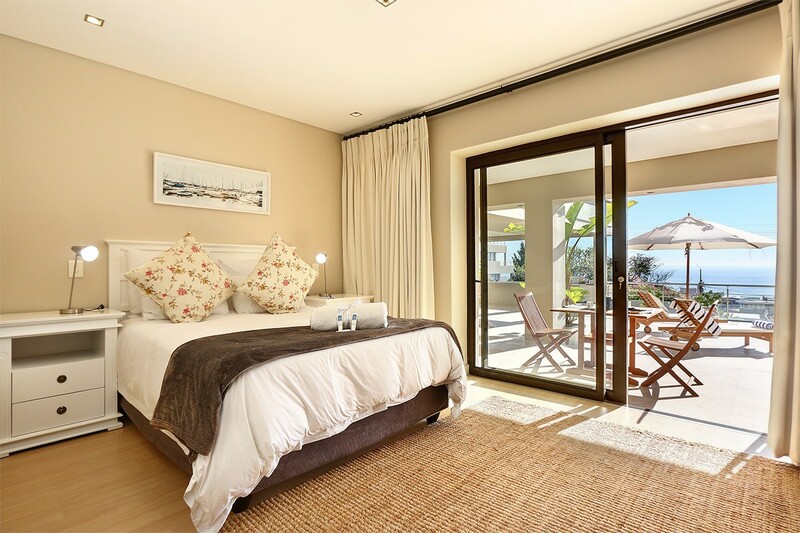 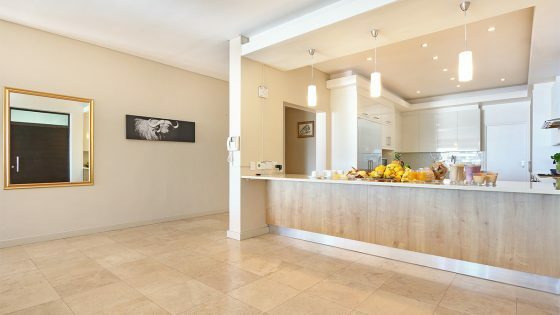 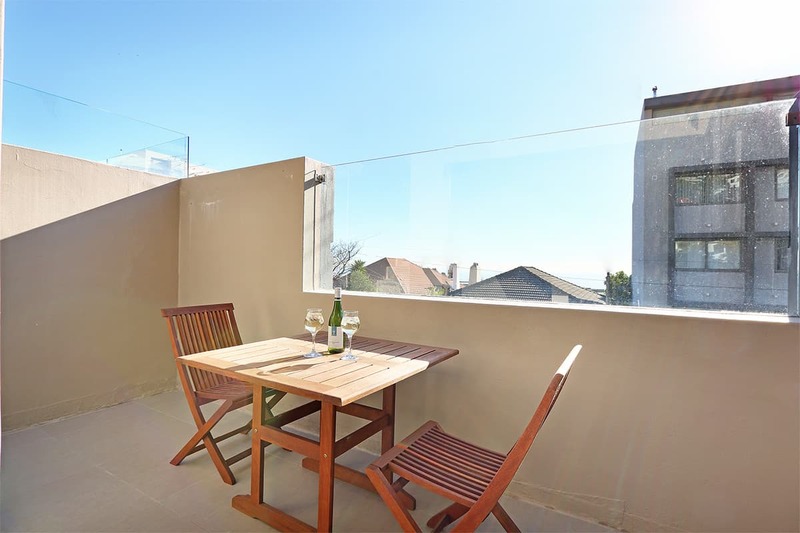 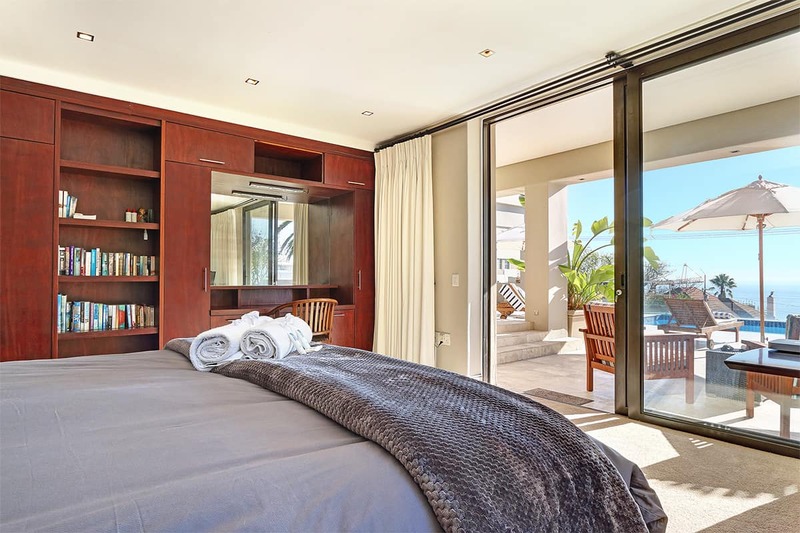 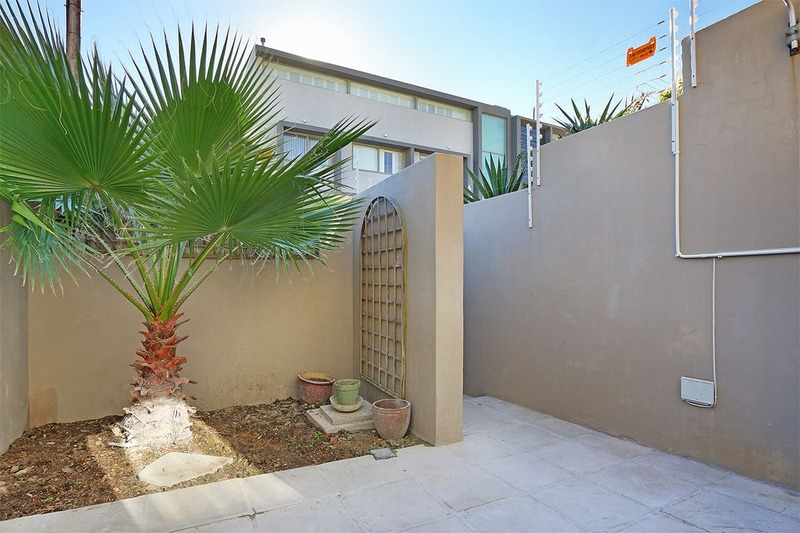 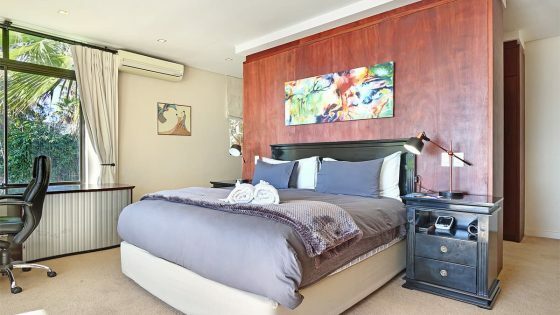 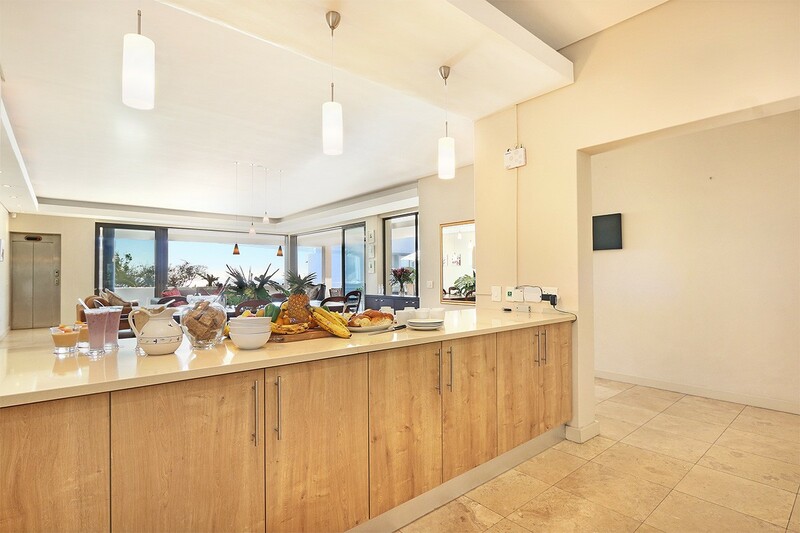 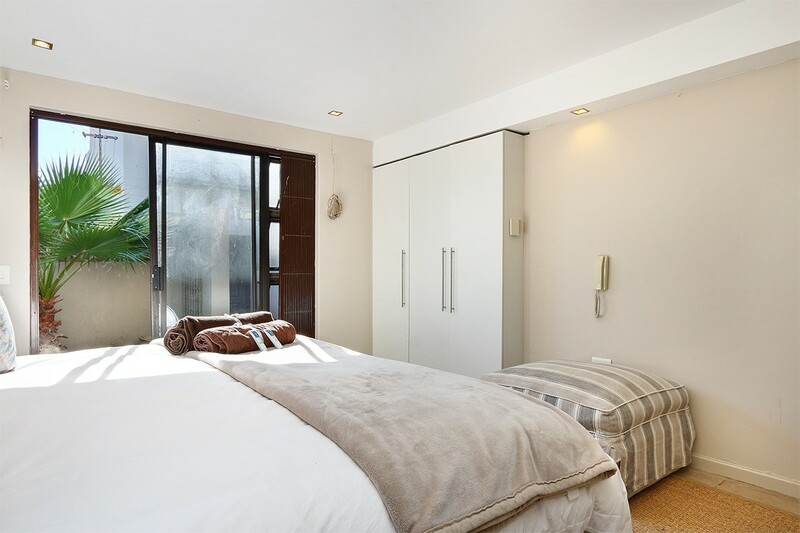 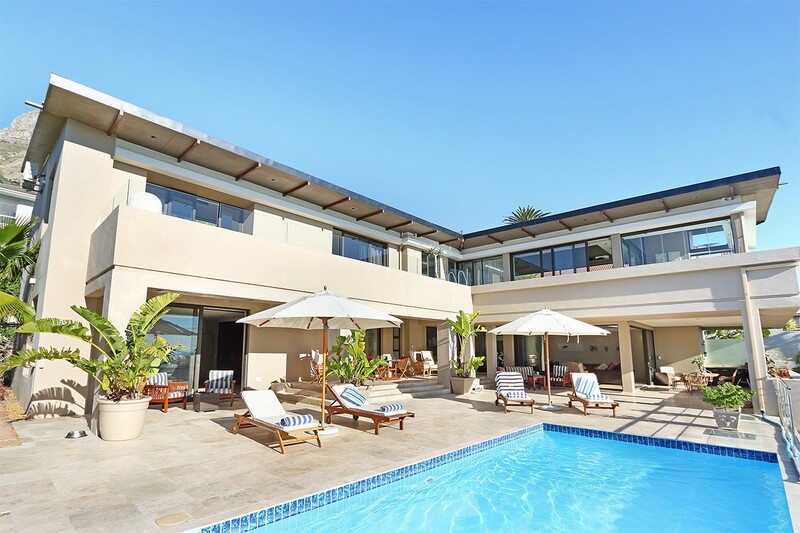 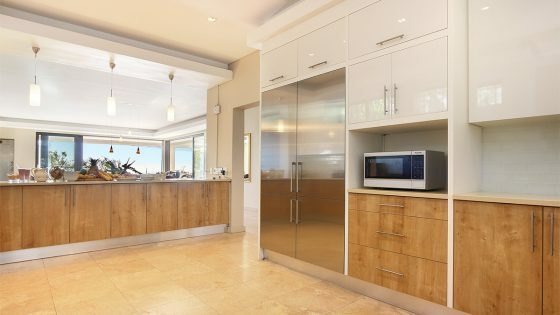 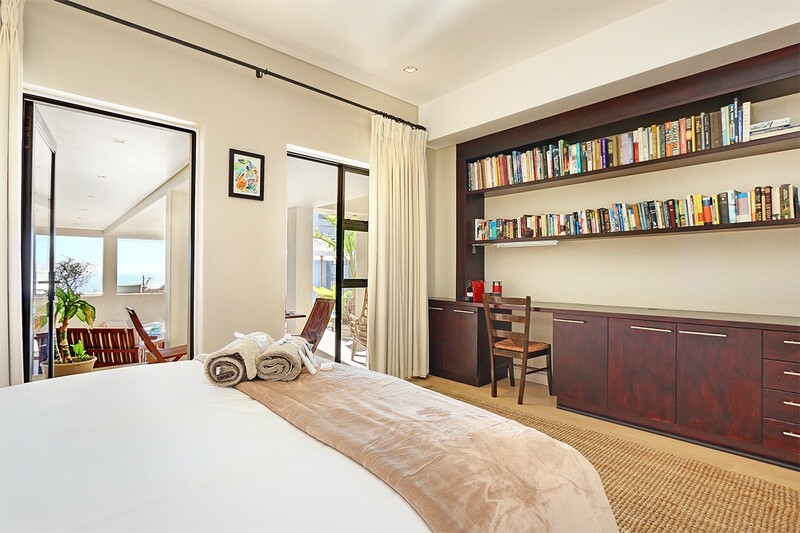 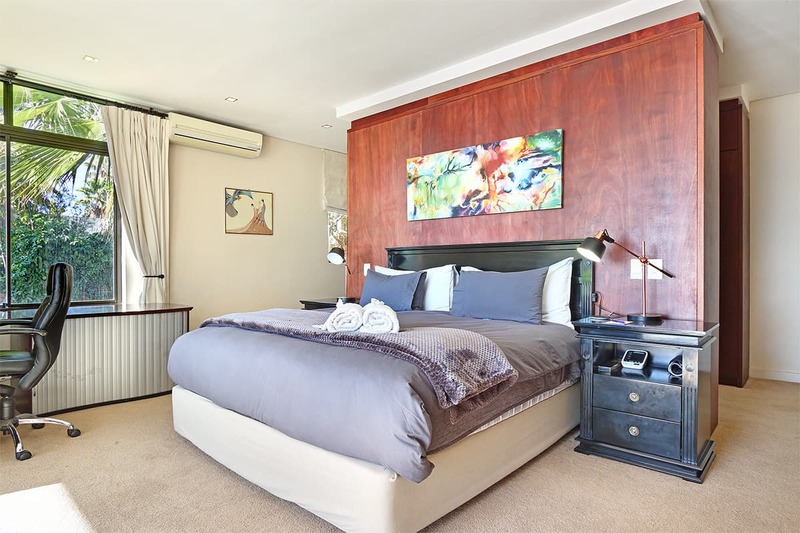 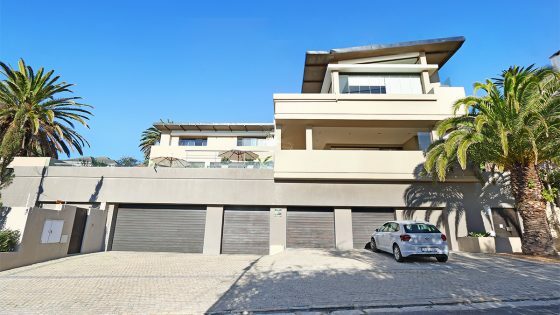 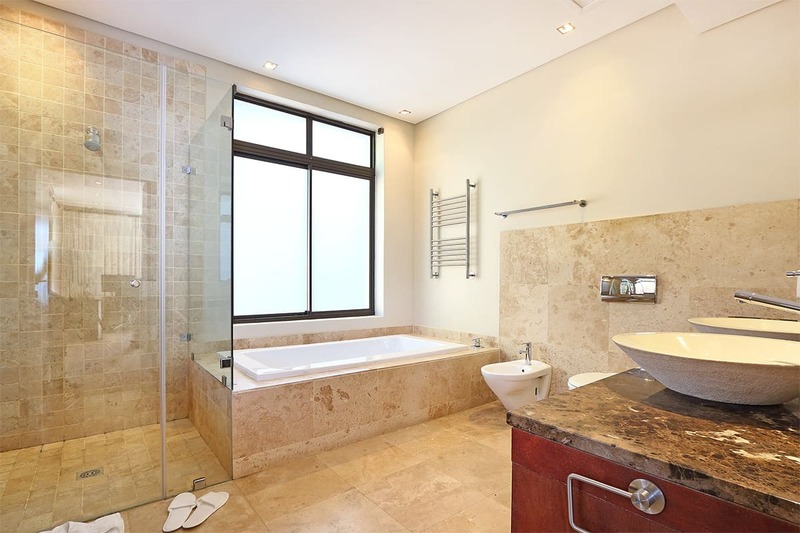 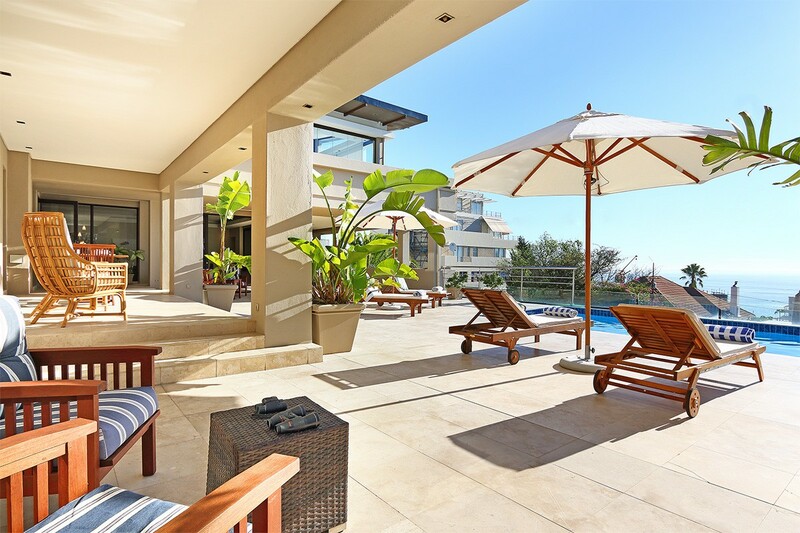 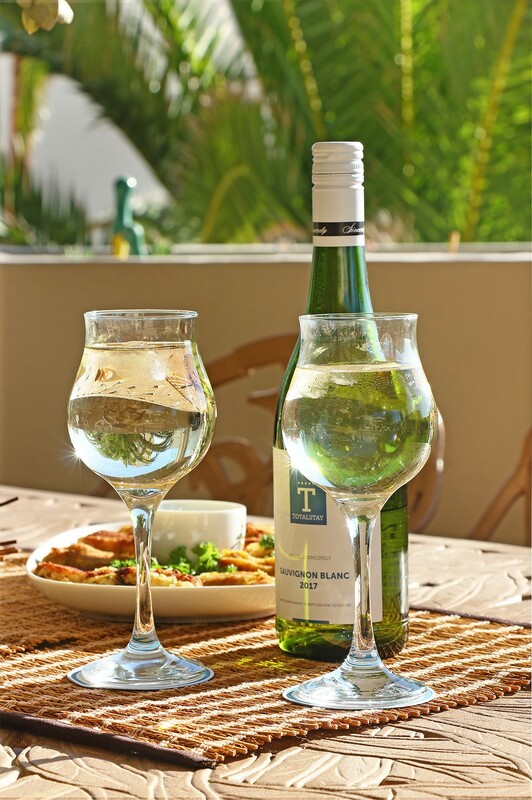 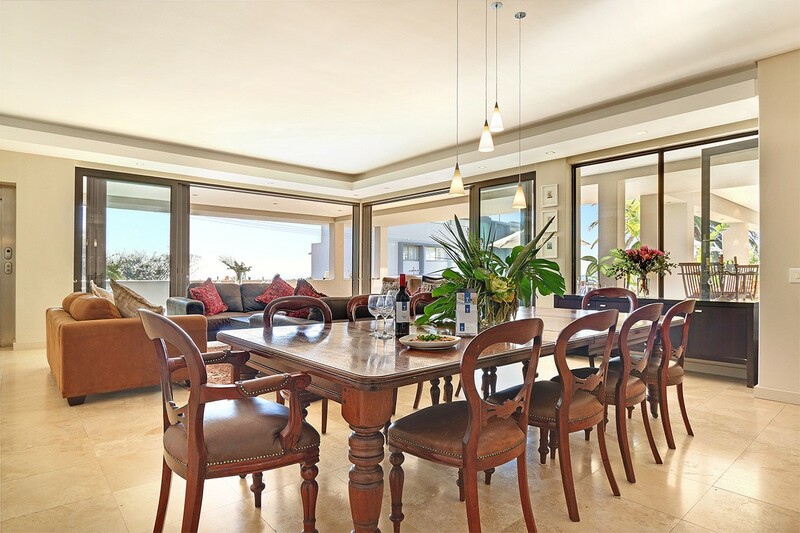 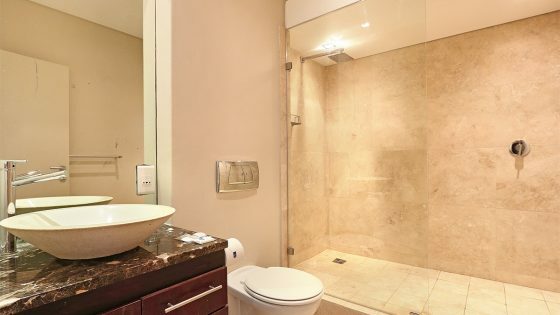 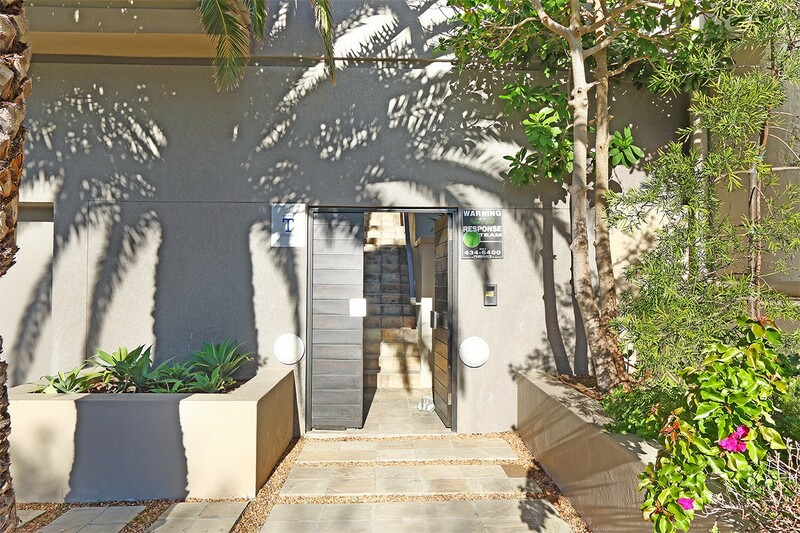 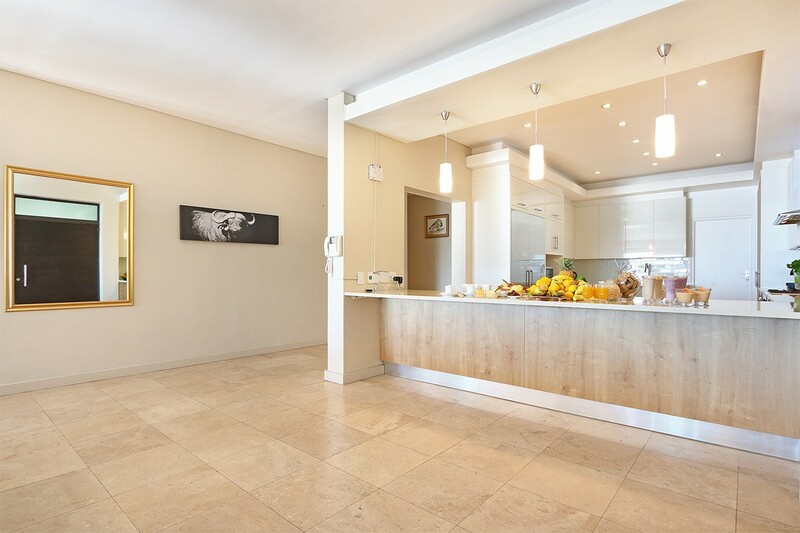 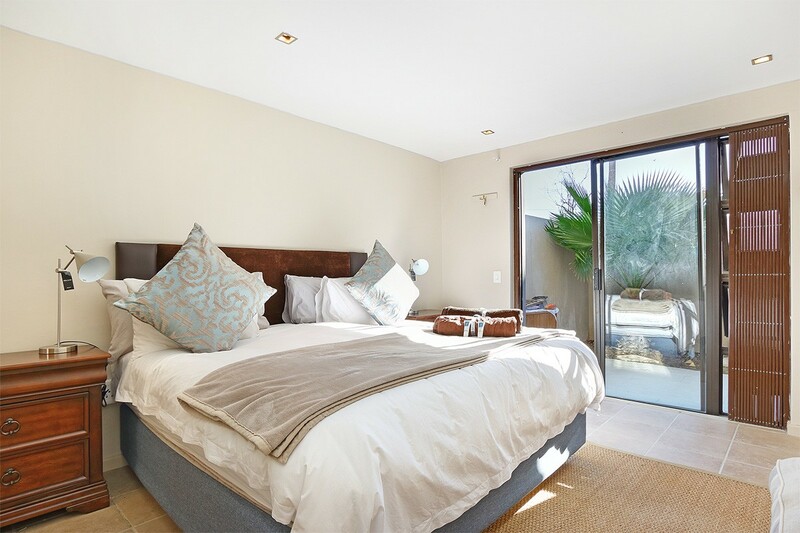 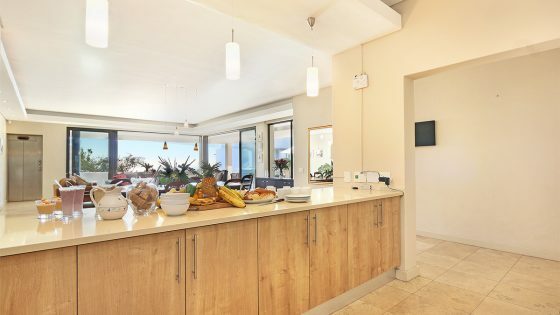 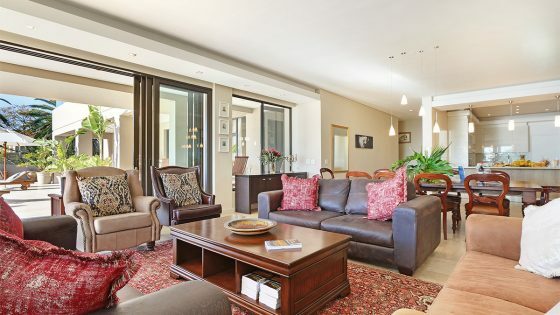 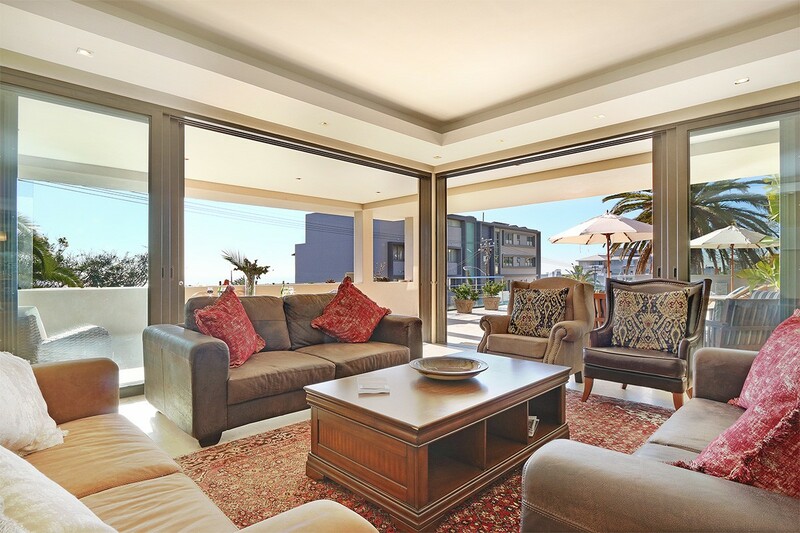 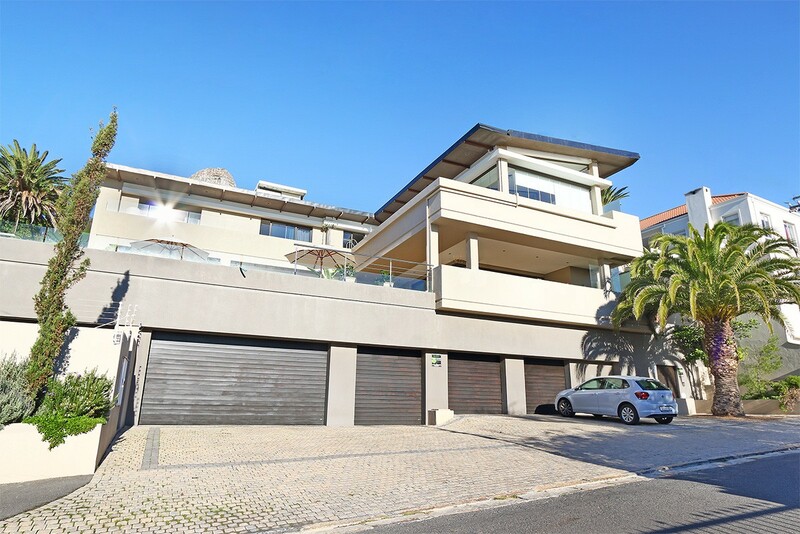 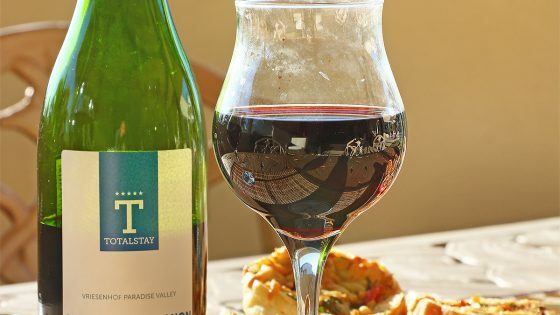 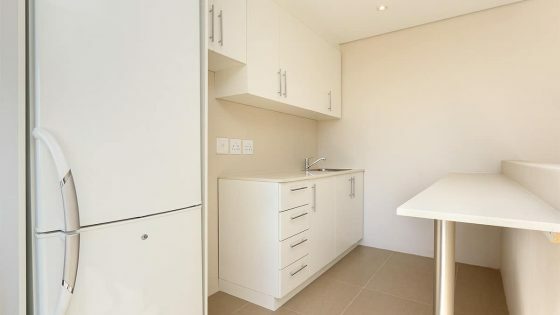 Bantry Retreat enjoys air-conditioning throughout, offers private garages for four cars, as well as off-street parking and is within a short drive from the beautiful Blue Flag beaches of Camps Bay and Clifton, the Sea Point Promenade and bustling Main Road, and the V&A Waterfront.